Coffins Print Shop Is Go!!! 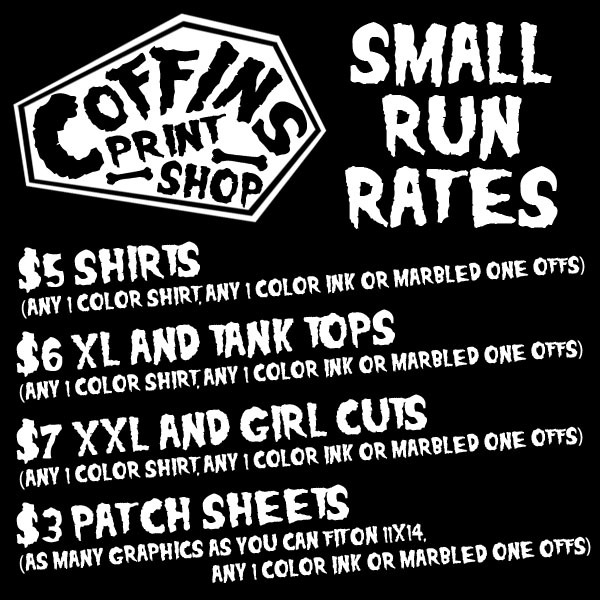 We started Coffins Print Shop today! Christian Coffins (bass/vox) of Sacred Owls has been screen printing for 15 years and has worked with tons of bands and artists in that time. 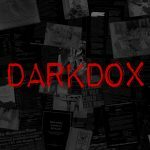 We have found that most bands, artists, small businesses, and people with a cool idea do not want to or can’t buy a minimum of 100+ shirts for several hundreds of dollars off the bat. Can’t sell them all in time and they just sit. We have NO MINIMUM ORDER! So you just pay $30 for the screen to be burned and kept on file and get a shirt today, 5 next week, 20 next month (with 3 green with white, 5 blue and yellow ink, 2 black with red ink, and 10 orange with blue ink) WHATEVER YOU WANT! We’ll do it! « TuffGnarl.com Presents… An Evening of Rock & Roll Debauch!